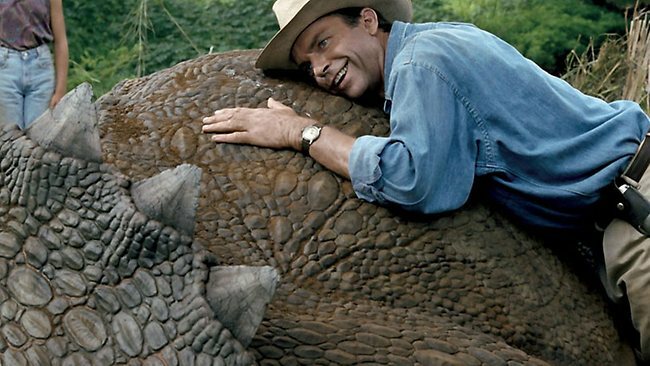 When Jurassic Park stampeded onto screen back in 1993 it came with the tag line: “An adventure 65 million years in the making.” Despite people’s individual theories on evolution or the history of the universe, it was impossible not to be in awe of the prehistoric spectacle crafted by Hollywood king, Steven Spielberg. Jurassic Park became the highest grossing box office film of all time (Only to be surpassed by James Cameron’s iceberg breaker a few years later), the new benchmark for CGI and blockbuster filmmaking. 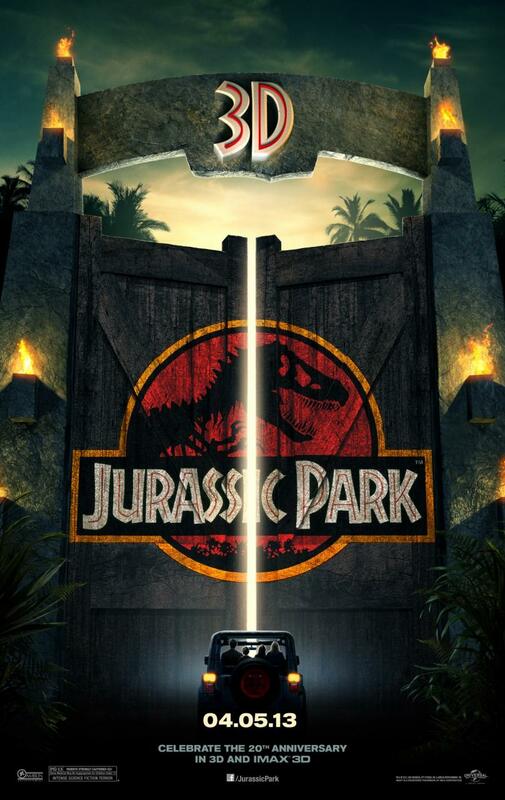 In 2013 Jurassic Park has reopened and come back to cinemas in 3D. Is it worth the price of admission to a theme park where you already know what to expect? The answer is a resounding yes. Jurassic Park is based on the Michael Crichton book of the same name. Crichton also shared screenplay duties with the ever busy David Koepp (Mission Impossible 1996, Spiderman 2002). The resulting script is laden with adventure, scares and also plenty of laughs. John Hammond (Richard Attenborough) is the idealistic founder of the genetic construction company Ingen and CEO of Jurassic Park: an island theme park of genetically created dinosaurs bred to be a money generating tourist attraction. After a fatality during construction, Hammond invites a team of professionals to evaluate the parks safety. The team includes; archeologists Dr Alan Grant (Sam Neil), Dr Ellie Sattler (Laura Dern), mathematician Dr Ian Malcom (Jeff Goldblum) and lawyer Donald Gennaro (Martin Ferrero). In an effort to show the team the family side to the park, Hammond also lets his niece (Ariana Richards) and Nephew (Joseph Mazzello) along for the ride. It’s not long before “Nature finds a way” and the dinosaurs are unleashed and out of their cage, erasing 65 million years of evolution and putting the humans to the bottom of the food chain once again. 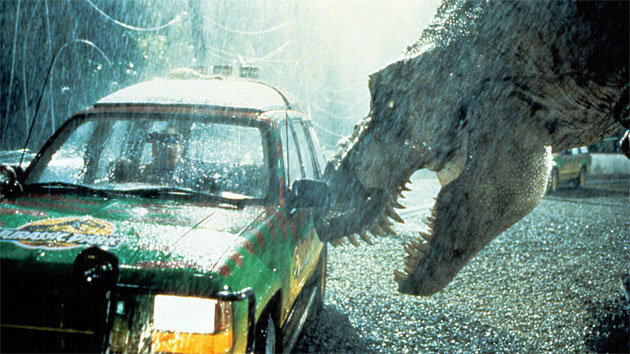 Jurassic Park 3D has a PG rating, which is a clear effort from the studio to pass off the film as family entertainment. While this film has a great sense of adventure it is without doubt that it should come with an M rating. Dinosaurs hunting humans for bite sized snacks does not make appropriate cinema for small children. Upon the films initial release Spielberg himself said he wouldn’t take his small kids to watch it. For everyone else though, this park is well worth the revisit. The 3D transfer is flawless, and at times, looks better than many films made now. While it doesn’t contain the digital crisp of a film like The Hobbit (2012), the transfer is bright and fresh. With Jurassic Park being almost 20 years old and still offering effects that don’t look out dated, this film still stands as the benchmark for film making of this type. The key to the success is simple: the effects act as a buffer and an enhancement for the story. They are never the purpose for the film. Story, effects, cinematography and acting are perfectly combined by the talented crew and their captain Spielberg. Re-releasing films that have made their fair share of revenue is often viewed by some to be a greedy scraping of the box-office barrel. With a film this old and this loved, it must be said it is refreshing to see it has not been tinkered and toyed with. There are no extra scenes, re-edits or “Greedo shooting first”. Changing a film so deeply engrained in the hearts of cinemas lovers will continue to remain as a terrible mistake. 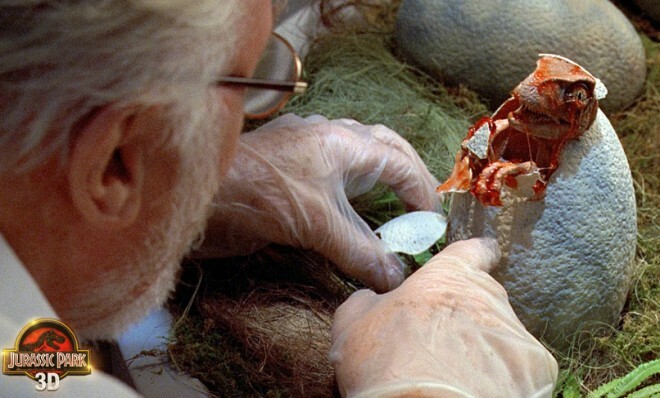 Spielberg has been smart to keep Jurassic Park like the fossils featured within the film, preserved and intact. Those who missed out the first time should go check this classic out in 3D. It looks great on the big screen and it is truly the way this film should be viewed. Those fans wondering if it’s worth the overpriced price tag just to watch this in 3D should not hesitate to do so. The moment Dr Grant sees the Brachiosaurus with John William’s famous score soaring in the background is worth the price of admission alone. It is a wondrous moment of grandeur and one of the most memorable scenes in modern cinema. Jurassic Park 3D is a great 3D film and the perfect example of a Hollywood blockbuster worth waiting 65 million years for.